Police have made an arrest in connection with the January crash-and-grab of a Best Buy store near Clark and Diversey. The suspect is a convicted felon who most recently found himself paroled after serving just 6 months of a 7-year prison sentence for armed robbery and aggravated battery. 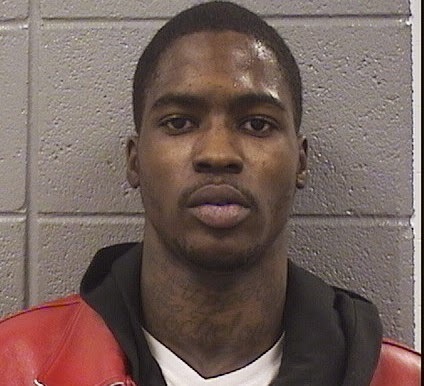 Jawon Sellers, 24, of the Roseland neighborhood is charged with burglary in the Best Buy case. Bond is set at $150,000. Prosecutors say Sellers and several co-conspirators crashed a stolen van into the Best Buy store at 2650 N. Clark just before 5AM on January 4th. The crew allegedly loaded $11,000 worth of tablets, computers, and other electronics into another vehicle and fled the scene. Illinois Department of Corrections records indicate that Sellers was sentenced to a 7-year prison term in September 2013 for robbery and aggravated battery. In a twist that will surprise few CWB readers, Sellers was released from prison just six months later, on March 14, 2014. He previously received a 4-year sentence for aggravated robbery in 2008.